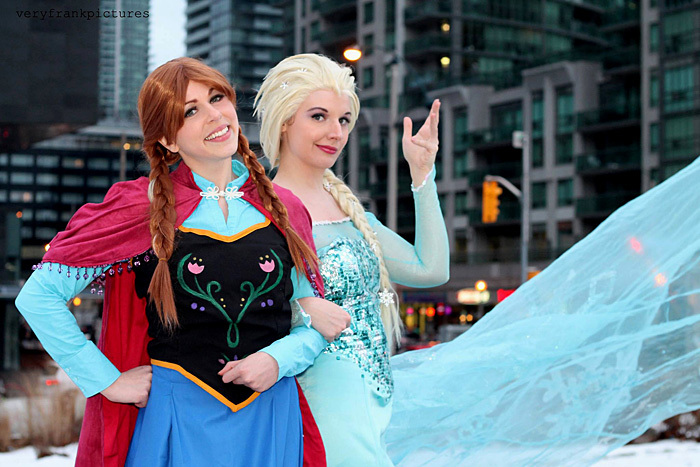 "Evie-E: As soon as I saw Frozen, like so many others I knew I needed to cosplay from it. I felt like I could relate so well to both Elsa and Anna but in the end the affect Let it Go had on me and the amount it helped me made me feel I should cosplay Elsa. Elsa was a difficult costume for sure but so worth it! It took me over 60 hours to sew the sequins on to the top of the dress, and the cape is 10 feet long! I am still sort of working on this costume and I feel like I will likely never really finish it. Still I am so happy with the costume and the reaction I get when I wear it. 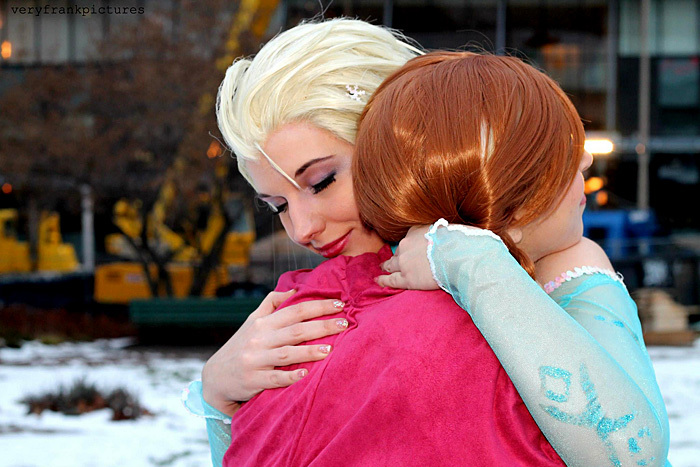 So many little girls are just awed to see Elsa in person and their reactions are worth every moment I spent working one the costume. Shelle-Chii: Being the younger sister, I definitely relate to Anna's side of the story Frozen more than Elsa's sometimes. 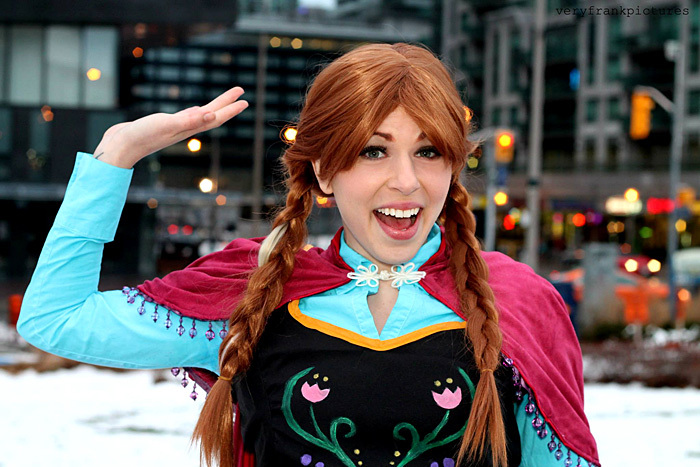 Anna is just one of those characters that you fall in love with instantly, and I knew I wanted to cosplay her when I saw Frozen in theaters. It took a while, but Evie and I finally sat down and made it (I helped, she did most of the work!) and though it's not finished, I love wearing this cosplay. I will be going in and hand embroidering the details in the bodice and skirt, but for now we just did fabric paint for the colors on the bodice. I feel so adorable in this cosplay, and it's so fun to wear and interact with the kids, who just go crazy for it. 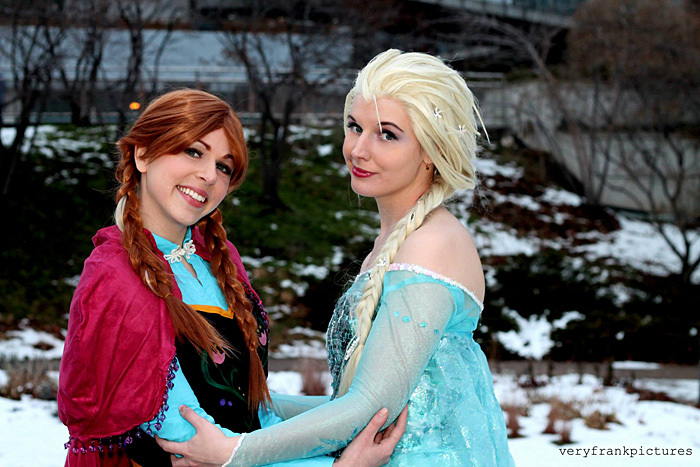 I have many many plans for this cosplay, and other Frozen ones, so look forward to them!"